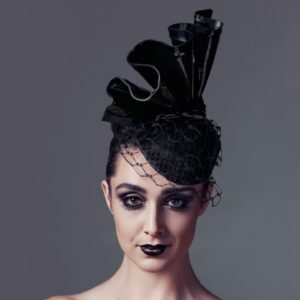 Categories: Millinery, Races Brand: Heather McDowall. Another of our most popular pieces this season, the Aurellio is a classic look with a modern twist. 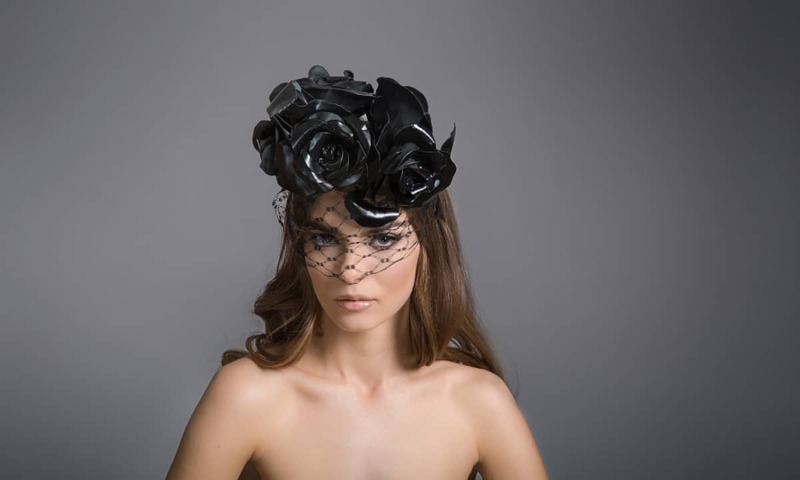 Featuring patent leather roses with Vintage Veiling. 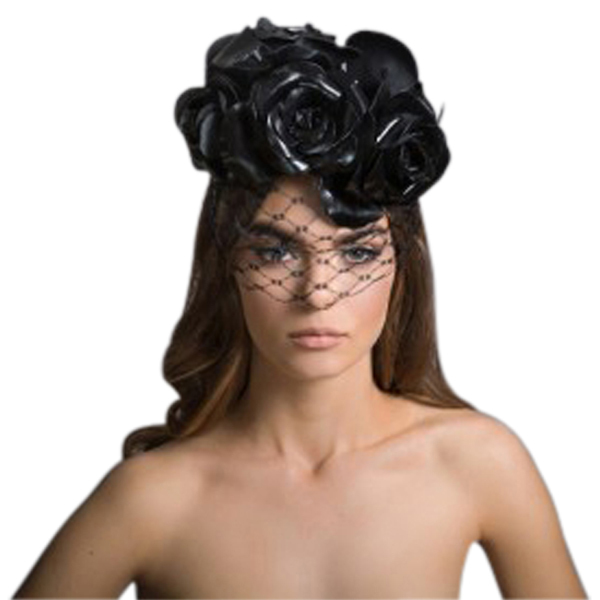 With a black & white dress, we think this would be perfect for Derby Day!